Playwright and comedian Kate Robards. Really Spicy Opera presents a special production of Ain’t That Rich at the 2017 Montreal Fringe Festival. This award-winning play by Kate Robards is a storytelling tour de force that has delighted audiences at the 2016 Capital Fringe, the 2017 Maui Fringe Festival, and FRIGID New York 2017. Kate grew up ‘broke’ in an East Texas town, where in her imagination she keeps up with the small-town rich people. She does everything she can to escape, and finally marries into the hallowed One Percent. But what can money actually buy you? This deeply personal and sidesplittingly funny exploration of money, identity, and aspiration has delighted audiences and critics alike in New York, Maui, and Washington, DC, including a sold-out final performance at FRIGID NY 2017. The 2017 Montreal Fringe Festival (formally, the Festival St-Ambroise Fringe de Montréal) runs from May 29-June 18, 2017. The exact performance dates and times will be available in Spring 2017. Box information will be available in Spring 2017. Anya Leibovitch. “Fringe: “‘Ain’t That Rich’ a winning comedy on money, class, and identity.” Montreal Theatre Hub. June 14, 2017. Angela Potvin. “Montreal Fringe Festival Reviews # 5 : Invasive Species, Berlin Waltz, Ain’t That Rich, Jon Bennett.” Montreal Theatre Rampage. June 13, 2017. Culture Team. 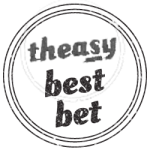 “Montreal Fringe Festival Reviews.” Cult #MTL. June 9, 2017. Jack Nakamura. “Frigid NYC | Review | Ain’t That Rich.” Vagabond Critic. March 2, 2017. Keith Paul Medelis. Review: “Ain’t that Rich.” Theatre Is Easy. February 16, 2017. Hannah Oldsman. “FRIGID Festival 2017: A Q&A with this Year’s Artists – Part 1.” Stage Buddy. February 2, 2017. Michael Pulliam. “Wonderheads.” The Maui News. January 26, 2017. Michael Pulliam. “Maui Fringe Theatre Festival.” The Maui News. January 19, 2017. Tim Treanor. 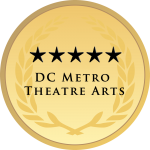 “Review: ‘Ain’t That Rich‘.” DC Theatre Scene. July 10, 2016. Ravelle Brickman. 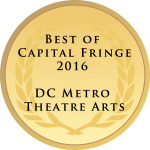 “2016 Capital Fringe Review: ‘Ain’t That Rich‘.” DC Metro Theatre Arts. July 8, 2016.